FREE WEBINAR THIS THURSDAY — 1:00 PM Books, Books, and Books! Did I mention it was free? Me talking about books. At a freakin’ webinar. I think a month or so ago when Derek Melleby of the very classy CPYU asked me to do this, I didn’t even know what a webinar was. And, to be honest, I still don’t like the sound of it. But Derek can talk people, or at least me, into anything. He is one of my very favorite people, for a dozen reasons, but that is another topic. For now, just know that it is going to be fun, informative, nicely produced, and well worth your time. Derek Melleby in action. Once you sign up (and you have to sign up, being it’s a webinar, after all) you can tune in live at 1:00 EDT this Thursday and you’ll be regaled with stories from the front lines of bookselling, Hearts & Minds style. Derek will set me up to preach a bit about the significance of reading, why studying to develop the mind of Christ is so very important these days, and why the organization for which he works (CPYU) and his own ministry (College Transition Initiative) values what we do here at the shop. I’ll tell some stories — maybe from church history, maybe from our experience — of how books well-chosen and carefully read can be life-changing. We think that reading is a good pleasure and a necessary spiritual discipline. 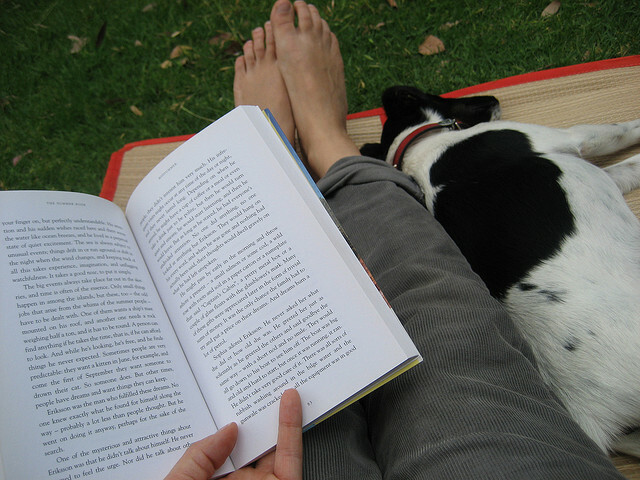 The best leaders and cultural influencers are readers. Then, for the main part of the program, that is, the aforementioned webinar, I’ll live up to my reputation of not being able to list just a few books. We’ve announced it as a Top Ten List for your summer reading. But noooo (spoiler alert!) I couldn’t do that. So it will be Top Ten categories, with a handful of suggestions under each one. Sort of a “choose your own” Top Ten Summer List. I guess you should be prepared to take notes. There will be good books mentioned, some juicy background about why I like ’em, and playful banter between Derek and I. I’m not sure what educators or other professionals do at webinars, but we’re going to have a good time. And you’ll be re-inspired to read some significant books and get a ton of good suggestions, free. Another perk, by the way: you will get an email afterwards, listing the titles. Anybody who signs up gets that. And, all of these books will then be on a special sizzlin’ summer sale — 20% off. Or, I could say, a wonderful, wacky, winsome, webinar, sale. Yep, that’s a special discount just for those who sign up for the CPYU webinar. So, help us spread the word, right away, if you can. I promise to describe some very profound works, highlight some brand new titles, and celebrate a few that you may expect. And, I’ll mention a few I bet you haven’t even heard of. 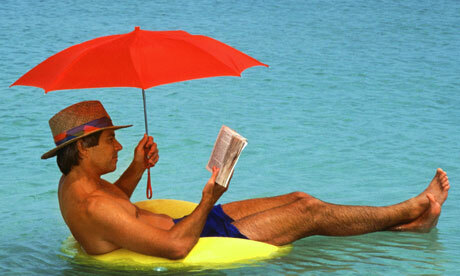 A one-hour conversation about books in my Top Ten Categories for Summer Reading. Delivered live to your computer screen or phone, this Thursday, June 27, 2013. 1:00 to 2:00 Eastern Daylight Time. G O HERE TO SIGN UP. 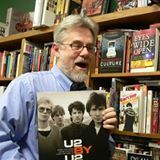 Join Derek Melleby as he asks CPYU’s favorite bookseller, Byron Borger, to suggest the best books to read this summer. Byron owns Hearts & Minds, a bookstore in Dallastown, PA and has been in the book business for over 30 years. He enjoys crafting custom-made lists for specific audiences. He is a long-time friend of us here at CPYU and has agreed to offer a list for us. Listen in as he shares key titles to inspire us in our tasks as parents, youth workers and Christian leaders. Really, this is a great opportunity to hear us speak about the Biblical vision of being life-long learners, why books are tools for Christian discipleship, and how Hearts & Minds is trying, as a small-town family-owned business, to live up to the high calling of being a thoughtful Christian bookseller. And to get a boat load of ideas for your own top ten list this season. And to say you’ve been to a webinar. How cool is that? Won’t you join us?